I have visited Corsica on countless occasions for work and always thought I had come to know the island pretty well… Well if only I knew, I was about to be blown away yet again by some of Corsica’s most stunning scenery! 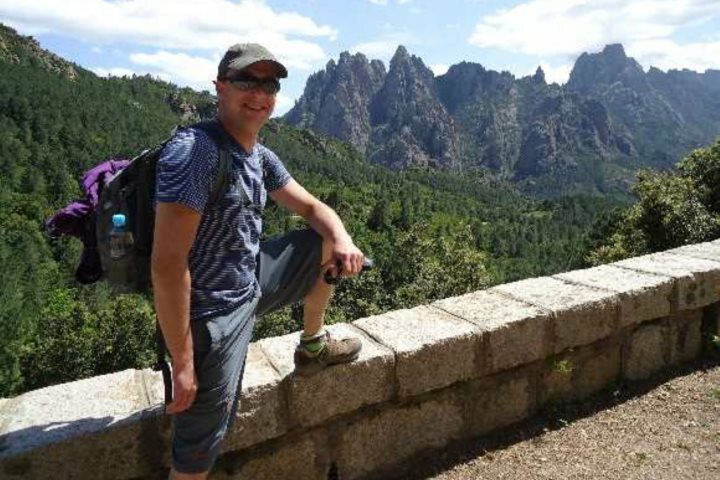 I took a week off in early May and stayed in the Figari region, a perfect base to explore the exquisite beaches of l’Extrême Sud, the majestic mountain ranges of the Alta Rocca and Bavella as well as the more unspoilt coastal areas of the south west. 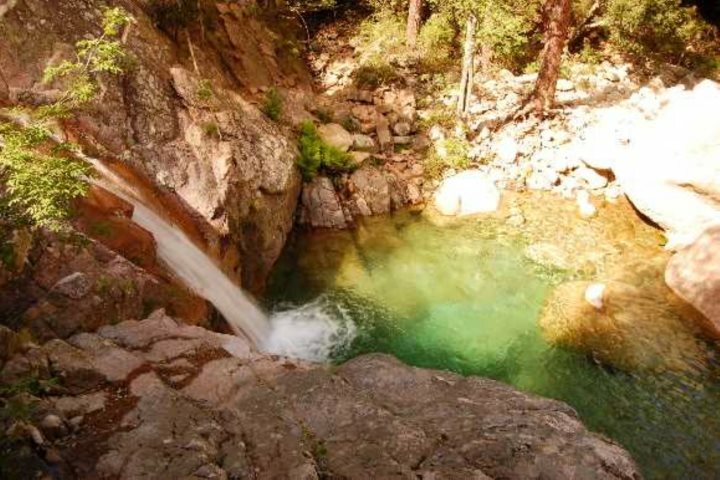 My partner and I were keen to explore some parts of the island on foot, so we opted for a coastal walk between Tizzano and Cala di Conca and a mountain walk leading up to some idyllic rock pools and fabulous waterfalls between the Col de Bavella and Solenzara. 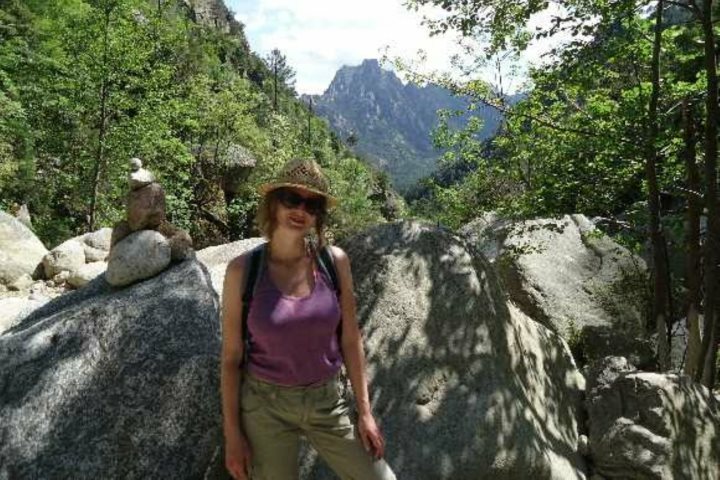 We chose this particular walk simply as it was quoted as one of the wildest coastal stretches of Corsica and also one of the most scenic ones from the locals and various travel guides. Let me tell you, we weren’t disappointed! 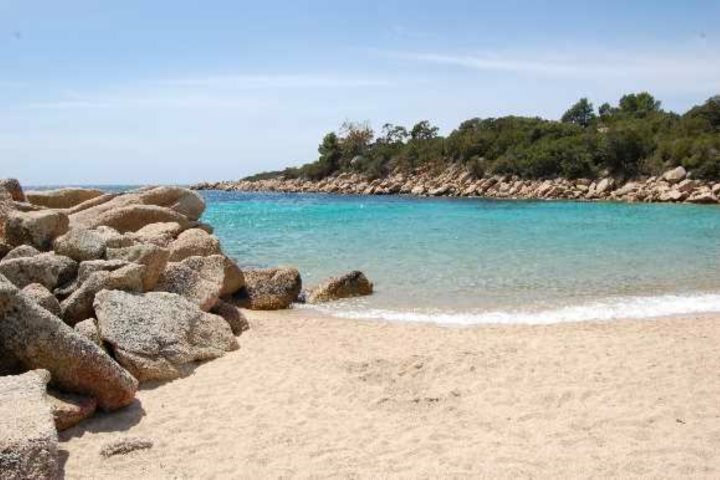 We set off at Cala di Barcaju, a beautiful sandy cove just 3.4km from Tizzano. 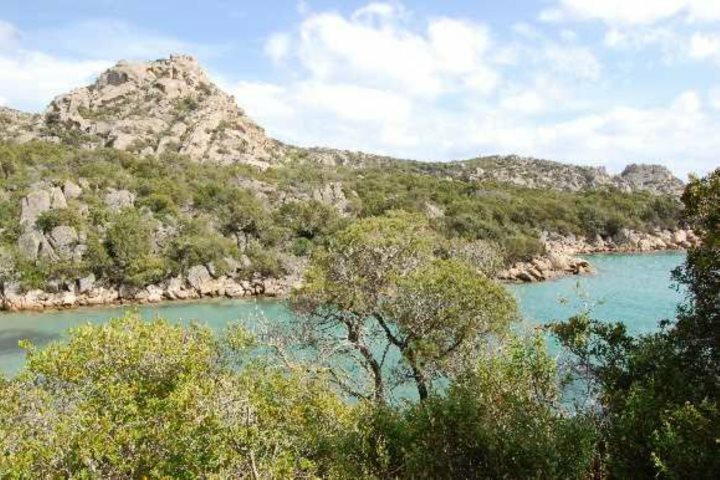 From here, we followed the path through the maquis and along the coastline passing a string of secluded beaches, some extraordinary granite outcrops, a 17th century Genoese tower and a wind-powered lighthouse. The scenery was truly breath-taking and a feeling of wonder mixed with satisfaction increasingly grew as our walk progressed. 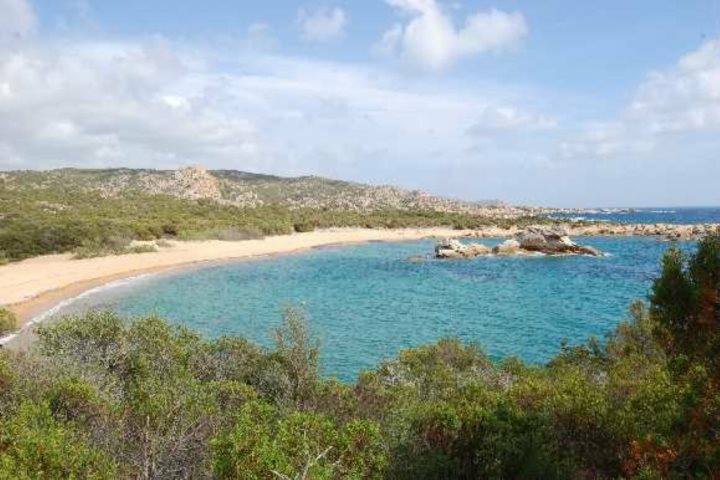 We stopped at a few beaches along the way including Cala di Capicciolu, Cala Longa, Cala di Tivella and finally Cala di Conca – all as magnificent as each other surrounded by granite rock formations, backed by perfumed maquis and lapped by turquoise water. Tempted? Allow a whole day for this walk as you may have guessed, there are a number of inviting spots to stop at for a picnic lunch, the inevitable photo breaks and of course a few dips in the sea. This was a different experience, a delightful contrast to the first walk and again a very successful day trip. 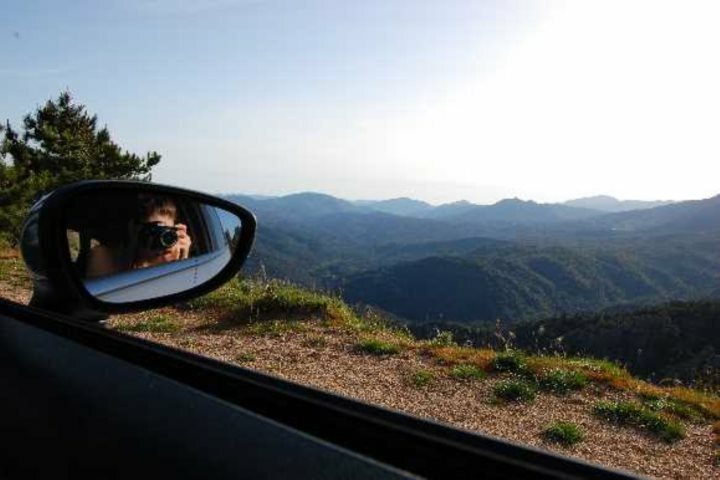 We set off by car from Figari to reach the village of Solenzara on the south east coast. We then followed the Route de Bavella leading up to the mountains and we stopped at the Col de Bocca di Larone after 17km where we began our walk. From here we started our journey through the maquis and along a gorge where an amazing panorama of towering mountains and pine forests unfolded. It didn’t just stop here… After approximately a 30 minute walk we were rewarded by a landscape of smooth white rocks, emerald-green pools and a series of remarkable waterfalls, which stretched for the last 45 minutes of the ascent and as far as the Purcaraccia waterfalls, the largest and most impressive along the way. Should you wish to try this walk, I again recommend you allow plenty of time, even the whole day – this is a particularly challenging hike as the trail is often unmarked, there are a few large rocks to climb and some steep drops to be aware of. It is not advisable to attempt this walk in wet or unsettled weather as the water levels may increase suddenly. And don’t forget your swim suit; bathing in the rock pools is just fabulous!